Eugène Duflot de Mofras authored another of the French-language sources that are less well-known in the Pacific Northwest, but very valuable for researching our history. It’s his 1844 book “Exploration du territoire de l’Orégon, de Californies et de la Mer Vermeille” (Tome Second), published in Paris by Arthus Bertrand, éditeur, Libraire de Société de Géographie. It’s titled the Our Father prayer — “Pater Noster” here. I’m not fluent in Old Chinook (yet), but something is scwewy here. 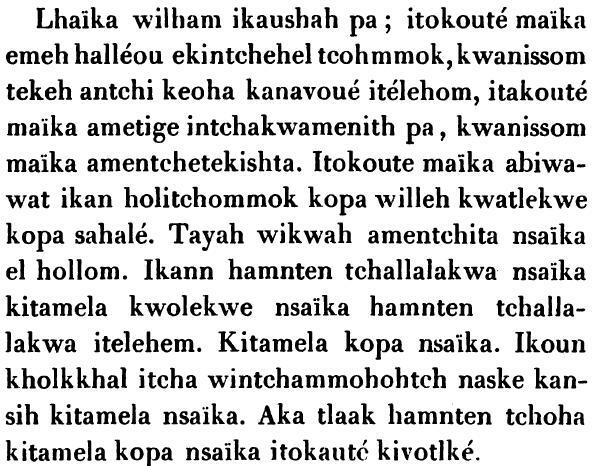 All of this is a really redundant way to talk Chinookan, or any language. It’s as if you were saying “Forgive us, us, our trespasses as we, we forgive…”! I’m not noticing a single solitary instance of the “free-word” pronouns here. Nor of kopa ___. Long story short, I see similar patterns between missionaries’ use and native speakers’ use of the Aboriginal languages pretty much throughout the Pacific Northwest. The result in this particular instance is a contact variety of Chinookan that resembles Chinook Jargon in its strategy of expressing syntactic arguments* with separate full words instead of the native way that used affixes that were part of the verb word. A corollary of removing these arguments from the verb — I hypothesize — is that the verbs themselves could as a rule be less complex, and as a result, easier for missionaries and other non-Natives to learn. I’m gradually working on missionary materials in a number of Salish languages, which will be interesting to compare with native-speaker speech to test my hypothesis. And there’s certainly plenty of difference between missionaries’ Chinuk Wawa and that of Aboriginal speakers. You can look through my dissertation for examples of that. So there are whole flocks of strange duck languages in our region. They are getting documented, showing details of our linguistic history that have not been identified before. *Syntactic arguments is this linguist’s generic term for subjects, objects, indirect objects and prepositional objects. Dave, you are so spot on with this piece. One of the things I was trying to get at in Making Wawa was that there was galaxies — well, anyways, a lot — of floating varieties in the first half of the 19th c., among them this clear case of deliberately simplified Chinookan. And I meant to explicitly reference you. I had my autographed copy of “Making Wawa” open by the computer — when suddenly I had to fetch a kid from school! Am I right in thinking that this particular prayer hadn’t come your way before you wrote the book, George? I knew that Duflot existed and in an earlier iteration (er… non-iteration) of the project was intending to work some of that stuff out. 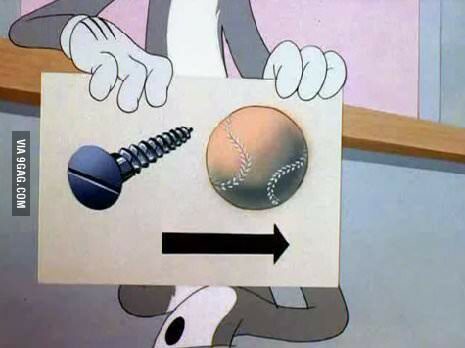 But I never got around to it. Also, it wasn’t until I replied here the other day that I realized you had written back four months ago. I’ll see if I can dig up your post and compare back to the MS and see what I find. @Sant’owax: OFTEN. Especially with the missionaries. Anthropologists/philologists (which is what the linguists around here called themselves at the time) were pretty clear about having a goal of documenting how Indians talked among themselves. Missionaries, contrastingly, were more interested in somehow managing to communicate their own message *to* the Indians, and often in their zeal they got impatient, resulting in serviceable but mediocre translations. 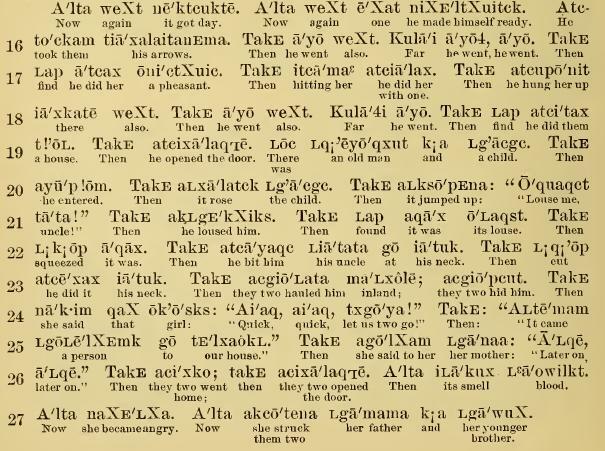 Interestingly, with the 8 shorthand Salish-language “Manuals” published under Father Le Jeune’s name, some of the material is clearly native-speaker stuff, which must have been gotten via a reliable (often Chinuk Wawa) interpreter, while other material is typical of the missionaries’ own speech register in the languages. All of these variations, once we start detecting them, are wonderful material for understanding the variation and richness in Pacific Northwest language-contact history! I love your attention to these divergences in registers and communities. As a footnote, the issue of textual reliability brought to mind a close at hand example of potential pitfalls in anthropologists’ overcorrection or credulity… As Our Elders dictionary entry for p’alhilh has a note which implies that the important informant in Molala language and culture Steven Savage might have been unreliable because his CW name was P’alhilh. Given this sort of covering and deflection happens a lot especially when inquiries into taboo matters are made, I gather modern students have means to offset or check the errors? But back in the day, some informants must have had a lot of fun making things up to feed anthropologists!